and online casino gambling into a lucrative new adventure with loads of action and a 50,000 top payout. Play the Cubee Pokie on all platforms at Realtime Gaming (RTG) Online Casinos. 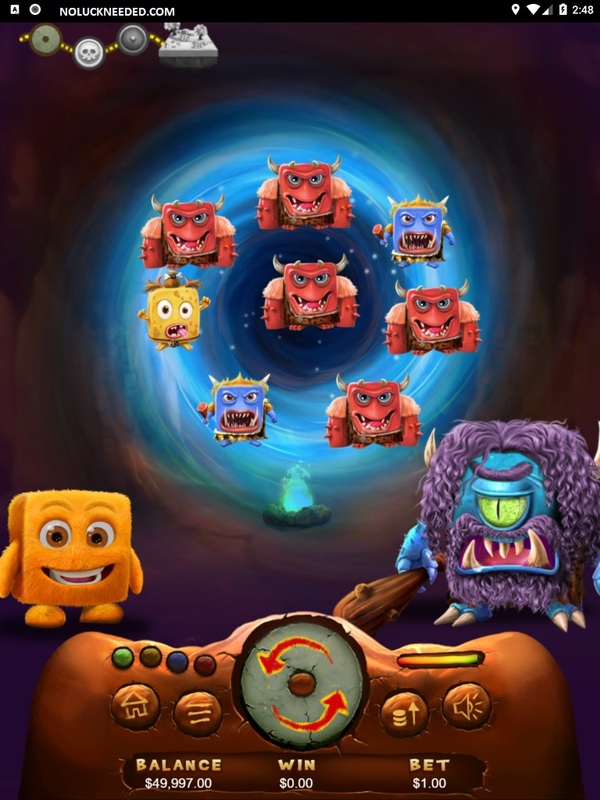 Cubee is a new one line interactive video game slot from Realtime Gaming Casinos with 8 floating symbols. Cubee features a delightful free games round, a unique design with floating symbols, and it is a new kind of slot game without the traditional reels and paylines. This is gaming and gambling combined to form and exciting new experience! It's your turn to help Cubee in his mission to rescue the Stone Age, the Era of Piracy and the Viking Age from the nefarious Rocco and his thugs. Travel through oceans of time while you help Cubee defeat his nemesis. Along the way you can collect Cannons and Bows and Arrows which can later be able to transferred into free games and multipliers once you save Cubee and safely make it back to Cubeeland. Immerse yourself into Cubee's new world of adventure and action to test your luck to win your fortune today. Please share your own Cubee slot reviews below in the comment section. – Passing From One Era To Another Upon Defeating His Arch-Enemy. Combination Of 8 Floating Enemies, Weapons And Power Balls. • Cubee Can Defeat Any Enemy With A Lower Or Equal Strength Level. • Cubee's Default Strength Level For Each Game Round Is 1. Cubee's Strength By 1 Level For The Game Round. • When Rocco Is Defeated, Cubee Will Transition To The Next Era. • Multipliers Can Be Accumulated In The Viking Age Every Time A Bow And Arrow Appear. Cubeeland, And At The Bet Amount Used Throughout The Three Stages. Thus Increasing The Chances Of Higher Paying Winning Combinations. • Click The Spin Button To Continue Playing With The New Bet Amount. Saved Free Games And Multiplier For The New Bet Amount Selected. 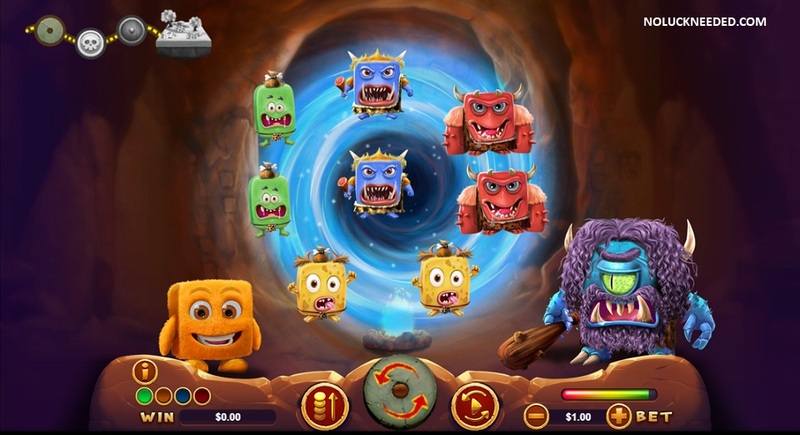 • The More Enemies Cubee Defeats Per Spin The Higher The Payouts. The new Cubee game is now live and that means free spins and free chips will be rolling in. If you find any freebies for Cubee please post them here. Thanks! I like the new cubee game. The Cubee game is temporarily offline and should be back soon. Just talked to live chat at Intertops...this Cubee game has been temp..disabled and will come back again later..I played it yesterday and I thought this game wasnt playing and paying right. I assume its RTG wide because I dont see it at many RTG casinos. DARN IT , NOW I SEE THIS POST. LOL I WAS MAD I THOUGHT I WAS GOING CRAZY CAUSE EVERY CASINO I OPENED THERE WAS NO CUBEE SLOT. I WAS THINKING NOW WHAT IS WRONG WITH OUR ROUTER.LOL GLAD IT IS NOT ME. LOOKS REALLY CUTE SLOT. I just won $49 in the free games round betting 20 cents at SlotoCash! I am loving Cubee so far! It's a little slow, that's the only thing I don't like. shirlsplay, Good luck! I hope you hit some free spins like I did! I did not hit much until I completed the levels and got the spins at the end. I finally played cubee and i don't understand the game , the only thing that i understood about the slot was my money disappearing...HaHaHa. i play $70 at a $1 a spin and don't really get it. shirlsplay, Ok, it took me a while to figure it out too. The thing is that you always make it to the bonus round after you kill the monster in 3 different times. If you play Cubee, always plan on playing long enough for the 3 rounds. I played at the lowest bet and did pretty well once I hit the bonus. Cubee can only eat one color of symbol unless he also eats that glowing orb thing. Each orb adds a color, so the more Orbs, the more he can eat during the spin and the higher the payout. Then the sword or hammer is making the monster weaker with every spin and once he is killed you move to the next round.